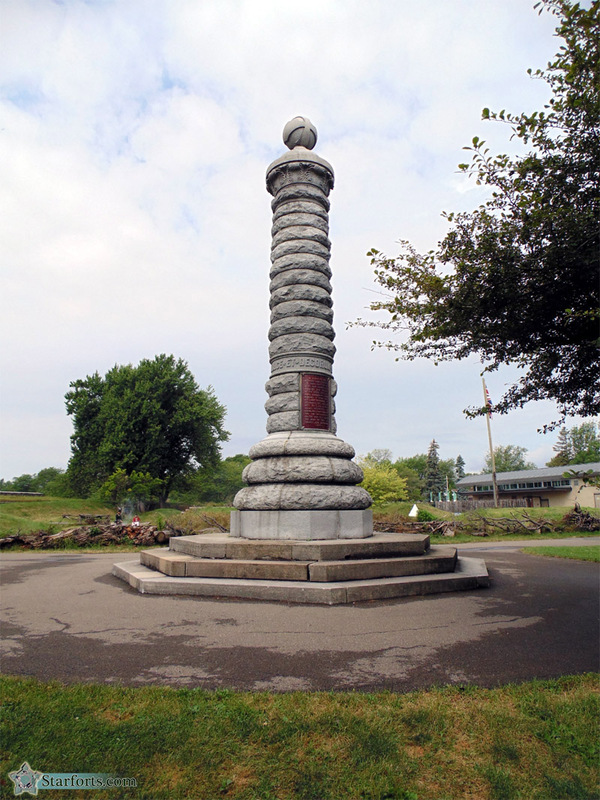 Just to the north of the British encampment (you can still see the two reenactors at bottom left) is The Monument. 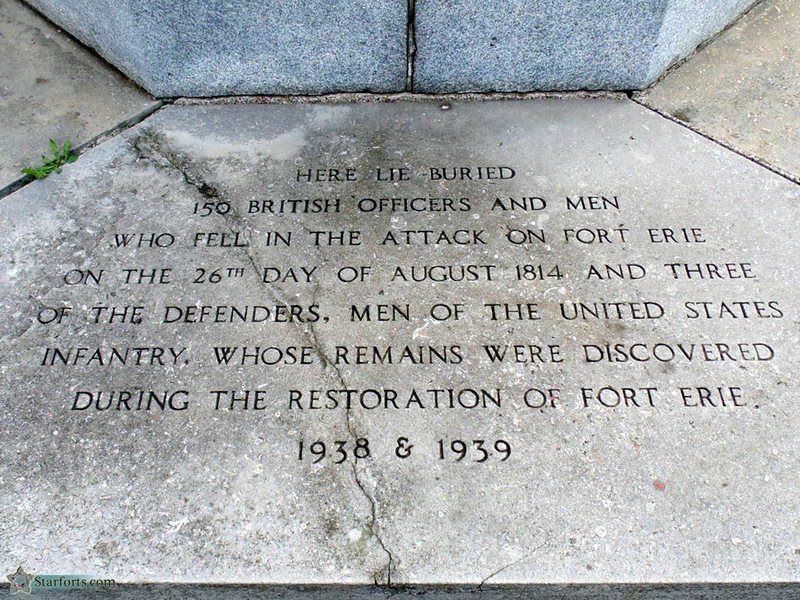 This pillar, bearing this plaque, was originally erected within the fort in 1904...but when Fort Erie was being reconstructed in the late 1930's, a mass grave with the remains of 150 British officers and men, along with three US soldiers, was found outside the fort's walls. 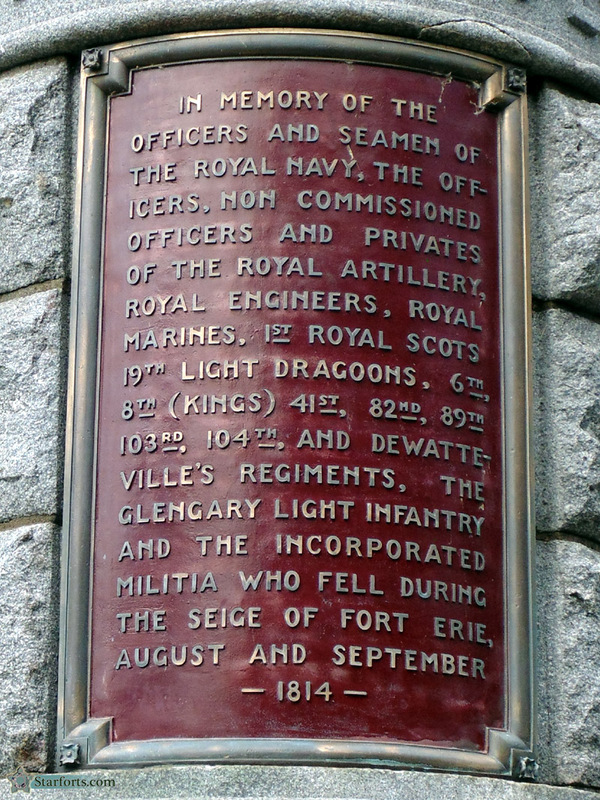 This monument was moved to rest atop that grave, along with the addition of this base.